On tonight’s GAME OF THRONES the show picked up with the aftermath of Joffrey’s death. Tyrion has been thrown in prison and his situation is dire. I cannot wait till next week’s episode. Next week’s episode is called, “Oathkeeper” and we have managed to get our hands on some juicy spoilers and a sneak peek video of next week’s episode. On tonight’s show in the frenzied aftermath of the royal wedding, Tyrion got a visit from a loyal subject, but wondered if anyone in his family would help him out of his current predicament. Meanwhile, Tywin offered to work for the common good with a presumed enemy; Sam took stock of the personnel at Castle Black; the Hound gave another life lesson to Arya; and Daenerys made a decision outside the walls of Meereen. More happened, did you watch tonight’s show? We did and we recapped it for you HERE! On next week’s show Jon welcomes volunteers; Bran, Jojen, Meera and Hodor seek shelter; Jaime and Brienne discuss his honor; Daenerys balances justice and mercy. Tywin presides at Tyrion’s trial. Tyrion is found guilty in a trial by combat. 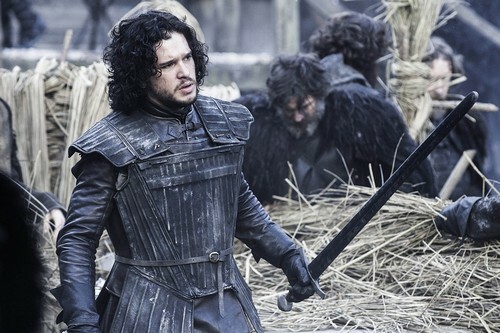 The Game Of Thrones Season 4, Episode 4 “Oathkeeper” airs on HBO on April 27th, 2014. Check out the preview videos from episode 3 below and let us know in the comments below what you think!